We understand how stressful, confusing, and overwhelming taxes can be. We strive to do the hard work for you, keeping current on tax laws, helping you maximize tax-efficiency, and provide tax preparation and management that is accurate and compliant with the IRS and state regulations. Our team of tax professionals can work closely with you to identify tax issues and correct them so they don’t hinder your financial success. Tax planning considers the tax implications of individual, investment, or business decisions, usually with the goal of minimizing tax liability. 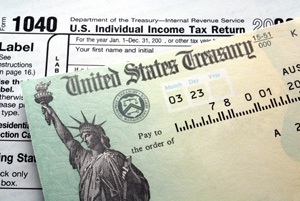 A major goal of tax planning is minimizing federal income tax liability. This can be achieved by reducing taxable income, deduction planning, investment tax planning, and year-end planning strategies. We guide clients through a full range of tax planning decisions with strategies designed to minimize their tax liabilities and maximize their cash flow. Received an audit notice from a federal, state or local tax authority? There are critical steps to take for an audit and we can assist clients in understanding their choices and preparing a response. We walk clients through the process, assist in assembling and sorting through records, explain the client’s options, and can even provide a qualified representative on their behalf, so the client doesn’t have to attend the audit. We handle all types of tax audits including individual income, small business, corporate, sales, and payroll.